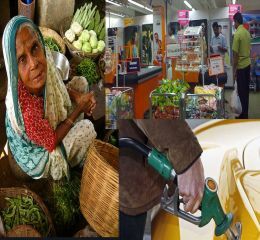 India’s weekly food inflation, measured by the Wholesale Price Index (WPI), continued to languish in the negative terrain for the third straight week for the week ended January 7, 2012 but rose to -0.42% from its previous levels of 2.90% for the week ended December 31. The rise in inflation can largely be attributed to rising demand for primary articles including both food and non-food items. The sharp slump in the rate of price rise of food items in last two months is evident because of the high statistical base of the last year. The Indian central bank is scheduled to meet for its third quarterly monetary policy review on January 24 and it is widely expected that the Reserve Bank may refrain from its aggressive monetary tightening measures as the WPI inflation has primarily been on a declining trend.